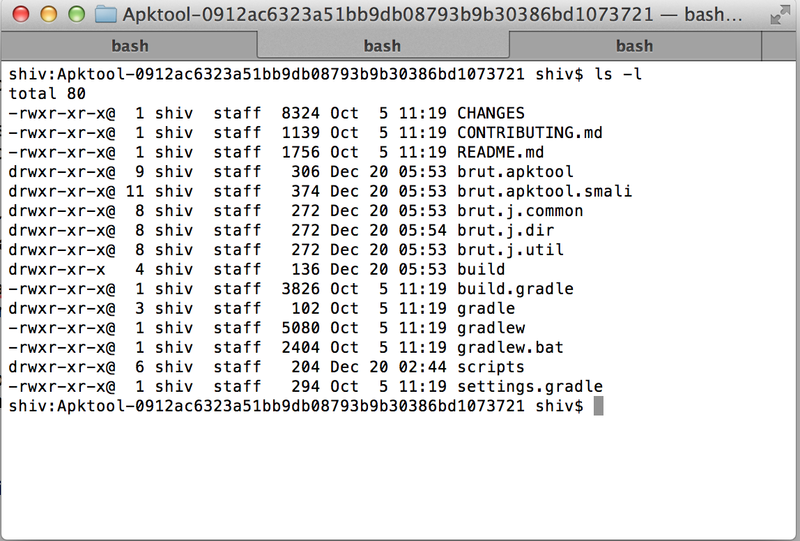 Apktool is one of the de-facto tool for Android application reversing. In the process of penetration testing at Attify, we faced an issue while reversing new Android apps. In most of the cases, the apps that were build using build-tools version 21.x raised few exceptions. After a little research, we found that apktool was failing to decode arsc file because of large StringPools and even raised IO exception reading few header files. The exception pointed to brut.androlib.AndroidlibException : Issue 664. The official apktool sources provided with apktool-rc2 version as a patch for above mentioned issue but somehow the workaround failed to work at our end and generated new types of exceptions. Same was the case with rc3 version. Well, this blog post is regarding how we solved the issue of apktool, so we won’t be discussing exceptions here in depth. Without getting much into details of exception and issues, lets focus on how we solved it. We built apktool from its source which is present at its official website. -Download the source code and extract its content. For example, here is the command for Mac OS X.